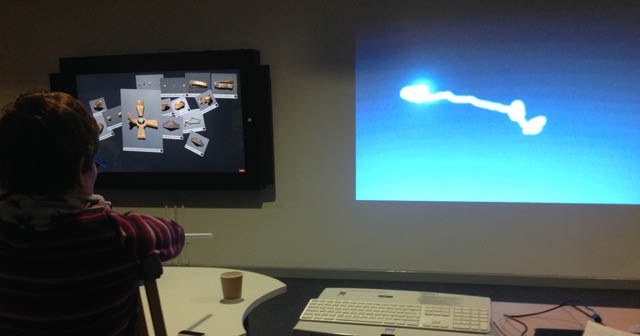 Image: D2Art saw DASH work with The Digital Humanities Hub at the University of Birmingham. Please make sure that you have the following two dates firmly in your diary so that you don't miss out! D2ART sharing event at CAKE (Collaboration and Knowledge Exchange) at University of Birmingham on 26th April 2016. Find out what discoveries were made when Disabled Artists tested new and emerging assistive technologies at the University's Arts and Humanities Research Centre. Places will shortly be available to book online here. Tu Fewn symposium on 23rd November 2016 at Wales Millennium Centre. This one-day symposium will reflect on the successes and learning acquired as DASH's Tu Fewn commissioning project draws to a close. Details of how to book your place will be available soon. For more information on both the Tu Fewn and D2Art projects - please visit the projects area of the DASH website. Image: Nicola Lane explored the life of Bill Lock, for the film 'In Conversation with the Past'. DASH has recently bid a fond farewell to trustee Nicola Lane, after having served three years on the board. Nicola is an artist-filmmaker, who first became involved with DASH in 2012. She remembers: "I was excited by DASH's 'Unlimited' commissions for the 2012 Cultural Olympiad." After this it became clear that she wanted to contribute to supporting disabled artists working in the mainstream, because she believes their point of view is creatively innovative. As a disabled artist herself, she benefited in 2001 from an Arts Council funded professional development opportunity, which significantly advanced her artistic practice. 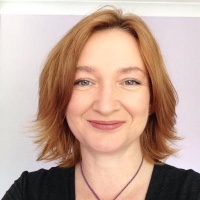 Nicola joined the board of DASH in 2013, and has spent the last three years being involved with the exchange of ideas and creativity. The board and staff thank Nicola for all her support and encouragement over the last three years and wish her all the best with her future projects. Recent new DASH trustee Bhavani Esapathi, would like to share her work on Invisible Disabilities. Click on the links for more information about these great projects. The Invisible Labs <theinvisiblelabs.com> is a social tech venture making invisible disabilities more visible. As part of The Labs, Chronically Driven <theinvisiblelabs.com/chronicallydriven> shares real stories by real people on the transformative ways a chronic diagnosis has changed their lives for the better. The Invisible Health Data Project <theinvisiblelabs.com/invisiblehealthdataproject> is researching into ways to make everyday, invisible struggles/symptoms more visible. Share your story or take part in the Health Data Project to make the world we live in a more inclusive space. Staff at DASH are taking part in a six-week introductory course in British Sign Language. The course is led by deaf tutors Mary and Kevin - and takes place at The Signal Hub, a welcoming space offering services for people who are deaf or living with hearing loss, located in the heart of Shrewsbury. DASH supports deaf and disabled artists - and the training is a move to equip staff with appropriate skills to make our services and the support offered as inclusive and accessible as possible. Carrie Slawinska, DASH's Administrative Assistant, who is three weeks into the course says: " I was a little apprehensive at the prospect of learning a new language using only that language, but as it is essentially a way of physically interpreting English, it's actually been a lot more straightforward than I had anticipated. The immersive approach led by Mary and Kevin is very effective, and it helps that they both have a brilliant sense of humour too! Our Operations Director Paula and I have been practicing together and are able to conduct basic conversations already, and regularly offer to make the tea using BSL. I am now looking forward to conversing with some of the deaf artists that DASH supports. I would highly recommend the course to anyone thinking of learning." "Today I caught the 11.53am Virgin train from Birmingham New St to Shrewsbury, it's not a train I normally catch. I found a seat and started to eat the meal deal I had picked up in the station, when you asked if you could sit in the chair opposite mine. I said yes, of course. The rest of the seats were taken by other passengers who barely registered they were sitting next to another person. I got out the Metro newspaper to see if I could finish the 'challenging' Sodoku puzzle, something I never quite seem to be able to do, and occasionally I looked of the window. I noticed you looking around and out of the window a lot. When we got to Wellington you asked me what the time was, so I told you 12.38. You then asked me if the next stop was Shrewsbury. I said yes, and asked if you had not been to Shrewsbury before. You told me that you were from Wales and that you had literally just come out of prison. I said I bet you are looking forward to going home, your face lit up, you told me you had been inside for three years. So we started a conversation and you told me that you have ADHD, Aspergers and anger issues and that next week you have an interview for a job as a bin man. I asked if there was anything you wanted to do, but you couldn't get past the fact that you would be a bin man. So I asked you if you liked art. Your face lit up again, you told me you have a GCSE in art and that you'd had a good art tutor in prison. Then you got your bag and pulled out a sheaf of drawings and paintings. You told me they were just sketches, I told you to always to hold on to your art and that it may take you places you hadn't imagined. I could see that you have a talent that is begging to be developed. I gave you my card and told you that DASH works with Disabled Artists and told you to contact me when you are settled back home. I'm really glad I talked to you today, I hope that you get in touch and that at the very least you had a good experience on your first day out." Copyright Â© 2016 DASH, All rights reserved.